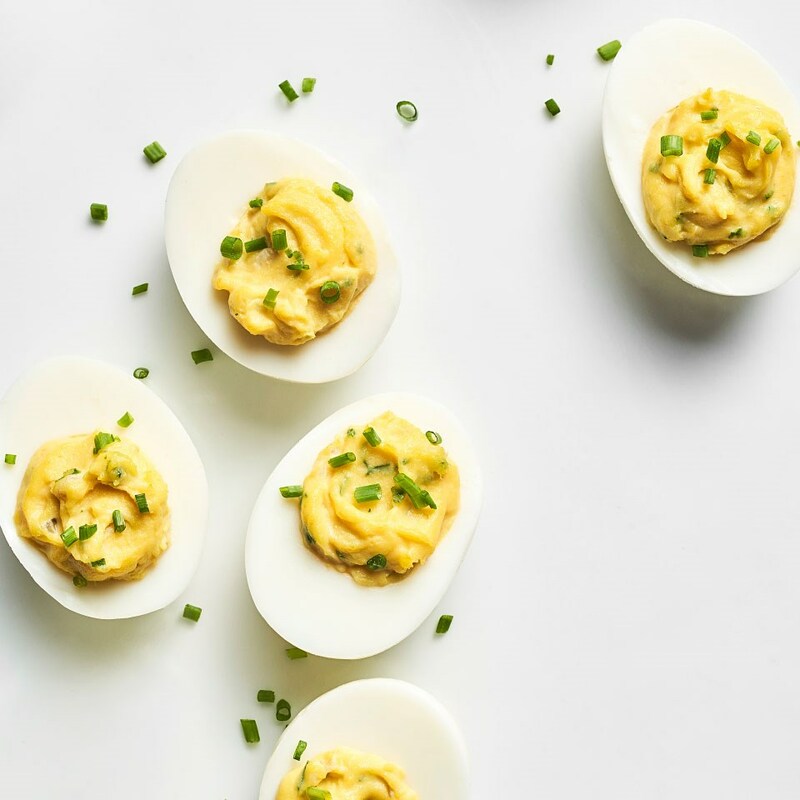 Learn to make the best deviled eggs with our tips on how to boil the eggs for perfect yolks, how to peel them, ingredient swaps for healthier deviled eggs and more advice. 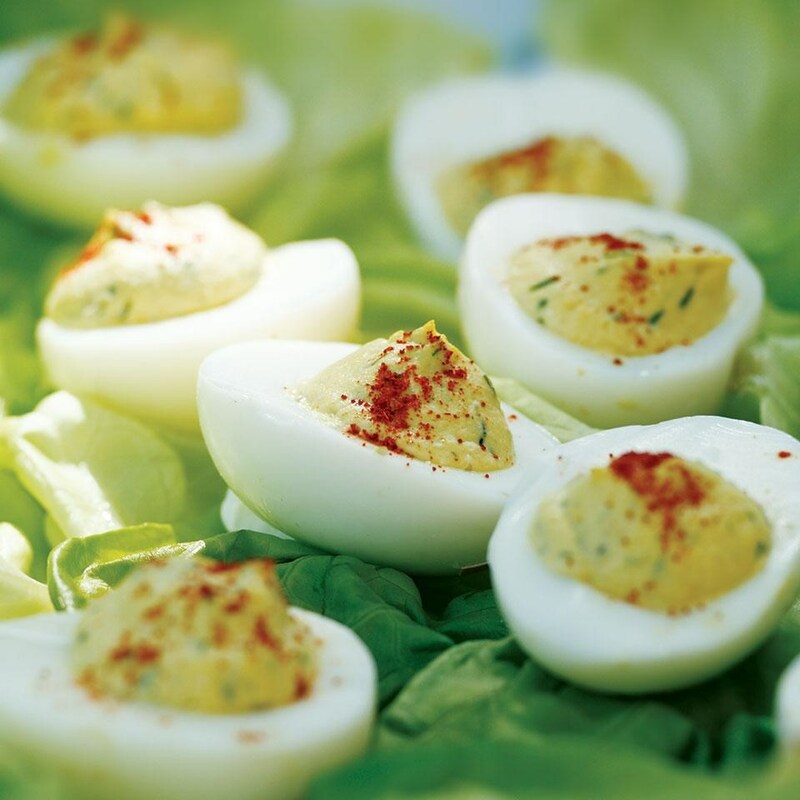 Deviled eggs are perfect as appetizers for any party, or as a side dish for potlucks and picnics. And of course they are a must for Easter brunch or dinner. Although making deviled eggs is pretty straightforward, it's definitely possible to mess them up. It's easy to add too much salt by accident. Other mistakes: way too much mustard or no mustard at all or (gag) broken eggshell in the filling. When done right, they're smooth and creamy and the filling has the perfect balance of tangy and salty flavors. And, with a few tweaks, you can make deviled eggs healthier too. Here are eight simple secrets for making the best deviled eggs every time. We know that sounds odd. For most applications, it's the fresher the better. But in this case, you don't want to use eggs straight from the farm, because they're harder to peel and you'll end up losing half the whites in the process. So check that date on your carton of eggs or buy them ahead at the farmers' market. "My mom always said put them in water and boil for 12 minutes at a hard boil," says EatingWell magazine editor-in-chief Jessie Price. "Now I know gentler is better so that the yolks get just set, but not overcooked." To properly cook hard-boiled eggs: Place eggs in a single layer in a saucepan; cover with water. Bring to a simmer over medium-high heat. Reduce heat to low and cook at the barest simmer for 10 minutes. Remove from heat, pour out the hot water and cover the eggs with ice-cold water. Let stand until cool enough to handle. After you boil the eggs, run them under a little cold water so that they're cool enough to handle. Then crack them all over and put them in cold water to finish cooling. This makes them easier to peel. After you've peeled the eggs, slice them lengthwise with a sharp knife. Using a sharp knife is good advice for any slicing task. Sharp knives not only cut better, they're also safer—dull knives can slip (you're applying more pressure) and cause you to cut yourself. Using a food processor to whirl together the yolks, mayo and other ingredients makes for a super-creamy filling. If you don't feel like getting the food processor out or if you prefer a slightly chunkier filling, you can simply mash the ingredients together with a fork. Mustard and mayo give deviled eggs creaminess and tang. For classic deviled eggs, yellow mustard is the way to go. It has the right acidity and saltiness that adds a special punch. Dijon, or a blend of brown mustard and yellow mustard, also works well. But you don't have to go super-traditional and put only mustard, mayo and paprika in your filling. Think of fun mix-ins like anchovies, olives, sun-dried tomatoes, chives, cilantro or Tabasco. Check out 5 Ways to Make Deviled Eggs Even Better for creative ideas, including Buffalo Deviled Eggs. 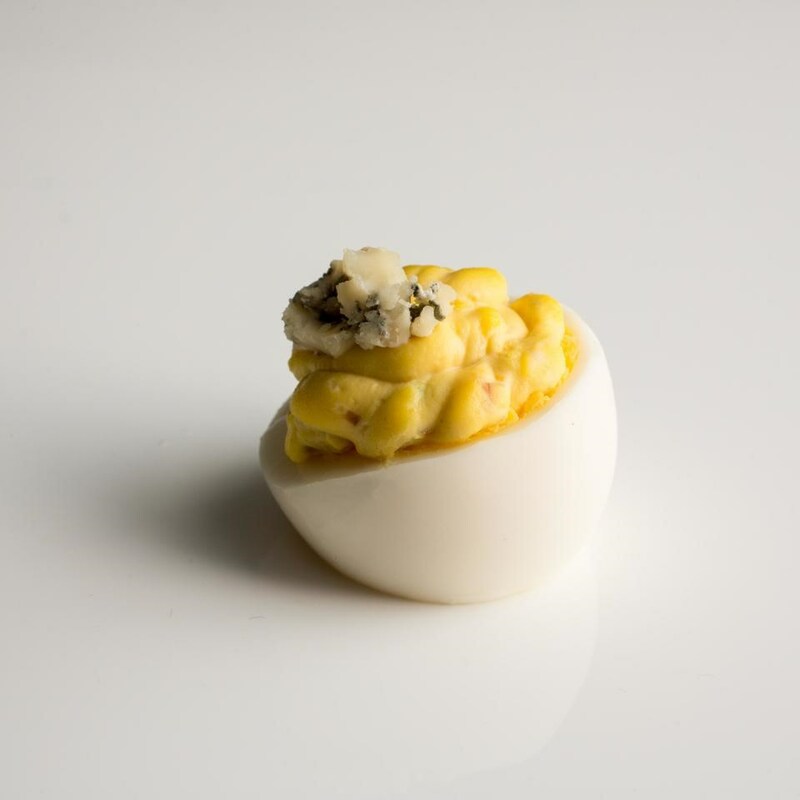 Playing with the fillings is also a good way to make deviled eggs healthier. In our Classic Deviled Eggs recipe we swapped out half the full-fat mayo for nonfat Greek yogurt for deviled eggs that are just as creamy as traditional ones but have fewer calories—not to mention more protein and gut-healthy probiotics from the yogurt. Trading regular mayo for low-fat is an easy way to shave off calories, but check the label—low-fat mayos typically have added sugar. And while yolks have many of the vitamins and minerals found in eggs (including vitamin A, vitamin D, choline and antioxidants), they also contain most of the calories and fat in eggs. (One yolk has 5 grams of fat and 55 calories, compared with only 17 calories and no fat in an egg white.) Our recipe for Deviled Eggs with Relish uses nonfat cottage cheese to stand in for some of the yolks—it keeps the filling velvety and rich while reducing some of the fat. For a fun recipe that skips the yolks altogether, try Guacamole-Stuffed Eggs. 8. Don't Let Those Eggs Sit for Too Long! And don't forget these important food-safety tips: Keep deviled eggs refrigerated until you are ready to serve them, and don't leave them out longer than two hours. Your guests will probably eat them much faster than that anyway! WATCH: Make deviled eggs healthier, see how!